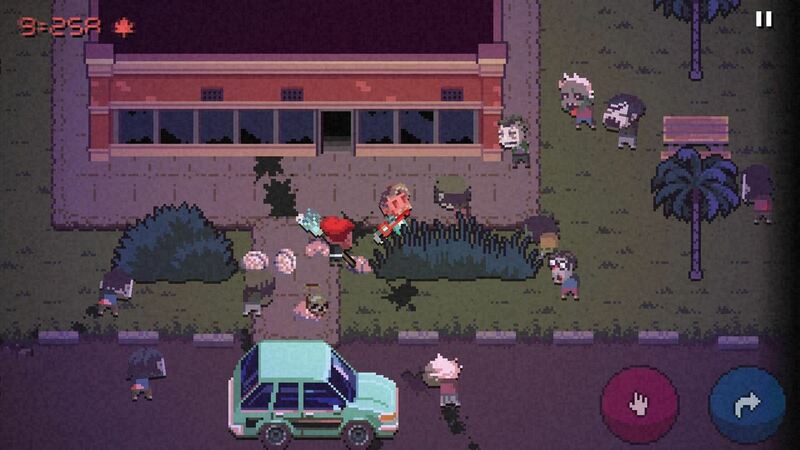 Death Road to Canada has finally arrived for Android, and it quickly took over our roundup for the best paid action games. Widely regarded as a top contender for the best video game of 2017, it came as no surprise when it easily surpassed all the other games in our list to grab the top spot for both Android and iPhone. It's a good old zombie basher (with a few RPG elements) where you lead a zany cast of survivors on a post-apocalyptic road trip to the relative safety of Canada. Along your harrowing journey through undead-infested towns, you'll meet more characters that you can recruit, and make decisions that directly affect your party for better or worse. Will you make it across the northern border unscathed, or will your trip sputter to a violent end? You'll have to play the game to find out. Thanks to its rich cast of recruitable heroes — each with their own unique backstory and traits — Death Road to Canada features an incredibly rich storyline that belies its straightforward premise. Its pixelated graphics and matching 8-bit soundtrack really add to the charm of the game, encouraging you to just have fun and not take it too seriously when you get ravaged by zombies. This last bit is extremely important, as you will find yourself dying often for any number of reasons besides the obvious. As a randomly-generated game, Death Road to Canada guarantees that you'll never play the same exact game twice, giving it tremendous replay value. This is one of those few gems you'll play over and over again, even if it means starting from scratch when you die. With the prospect of death ever-present, you'll quickly realize it's the trip to Canada itself that makes the game so addicting, and not necessarily finishing the game. So if you've been debating as to whether or not to take the plunge and experience for yourself what everyone has been talking about, now is as good a time as any to purchase Death Road to Canada for $10.99 on iOS or $9.99 on Android. Get ready to have a memorable road trip from the comfort and safety of your smartphone! Do you think Death Road to Canada is the best new game of 2017? Let us know what you think about this awesome game by posting in the comment section below.